You’ve written firmware for your USB device and are ready to test it. You attach the device to a PC and the hardware wizard announces: “The device didn’t start.” Or, the device installs but doesn’t send or receive data. Or, data is being dropped, the throughput is low, or some other problem presents itself. What do you do? This article explores tools and techniques to debug the USB devices you design. The focus is on USB 2.0 devices, but much of the information also applies to developing USB 3.0 (SuperSpeed) devices and USB hosts for embedded systems. If you do anything beyond a small amount of USB developing, a USB protocol analyzer will save you time and trouble. Analyzers cost less than they used to and are well worth the investment. A hardware-based analyzer connects in a cable segment upstream from the device under test (see Photo 1). analyzer’s host PC for display. You can view the data down to each packet’s individual bytes and see exactly what the host and device did and didn’t send (see Photo 2). transaction and the final byte in a second transaction. An analyzer can also decode data to show standard USB requests and class-specific data (see Photo 3). Photo 3: This display decodes a received configuration descriptor and its subordinate descriptors. To avoid corrupted data caused by the electrical effects of the analyzer’s connectors and circuits, use short cables (e.g., 3’ or less) to connect the analyzer to the device under test. Software-only protocol analyzers, which run entirely on the device’s host PC, can also be useful. But, this kind of analyzer only shows data at the host-driver level, not the complete packets on the bus. The first rule for developing USB device firmware is to remember that the host computer controls the bus. Devices just need to respond to received data and events. Device firmware shouldn’t make assumptions about what the host will do next. For example, some flash drives work under Windows but break when attached to a host with an OS that sends different USB requests or mass-storage commands, sends commands in a different order, or detects errors Windows ignores. This problem is so common that Linux has a file, unusual_devs.h, with fixes for dozens of misbehaving drives. The first line of defense in writing USB firmware is the free USB-IF Test Suite from the USB Implementers Forum (USB-IF), the trade group that publishes the USB specifications. During testing, the suite replaces the host’s USB driver with a special test driver. The suite’s USB Command Verifier tool checks for errors (e.g., malformed descriptors, invalid responses to standard USB requests, responses to Suspend and Resume signaling, etc.). The suite also provides tests for devices in some USB classes, such as human interface devices (HID), mass storage, and video. Running the tests will usually reveal issues that need attention. Passing the tests is a requirement for the right to display the USB-IF’s Certified USB logo. Like networks, USB communications have layers that isolate different logical functions (see Table 1). The device layer manages USB transfers, with each transfer moving a chunk of data consisting of one or more transactions. To meet the needs of different peripherals, the USB 2.0 specification defines four transfer types: control, interrupt, bulk, and isochronous. The function layer manages protocols specific to a device’s function (e.g., mouse, printer, or drive). The function protocols may be a combination of USB class, industry, and vendor-defined protocols. The layers supported by device firmware vary with the device hardware. At one end of the spectrum, a Future Technology Devices International (FTDI) FT232R USB UART controller handles all the USB protocols in hardware. 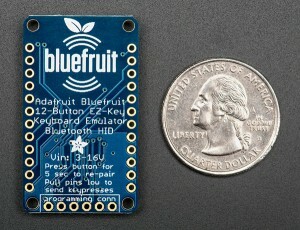 The chip has a USB device port that connects to a host computer and a UART port that connects to an asynchronous serial port on the device. 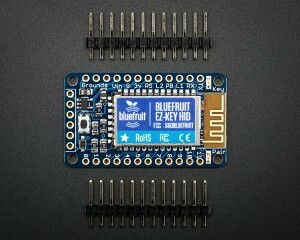 Device firmware reads and writes data on the serial port, and the FT232R converts it between the USB and UART protocols. The device firmware doesn’t have to know anything about USB. 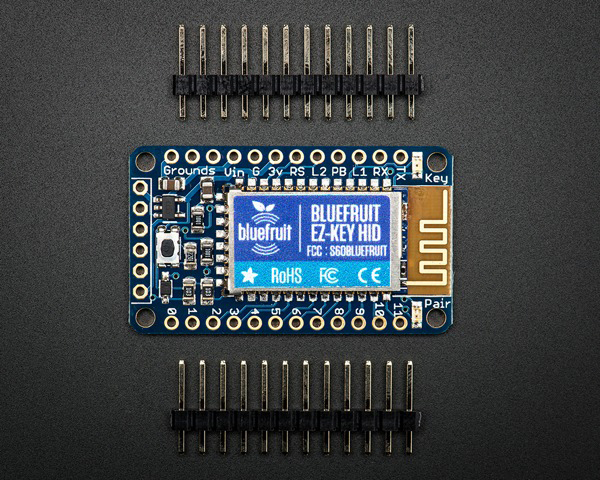 This feature has made the FT232R and similar chips popular! An example of a chip that is more flexible but requires more firmware support is Microchip Technology’s PIC18F4550 microcontroller, which has an on-chip, full-speed USB device controller. In return for greater firmware complexity, the PIC18F4550 isn’t limited to a particular host driver and can support any USB class or function. Each of the PIC18F4550’s USB endpoints has a series of registers—called a buffer descriptor table (BDT)—that store the endpoint buffer’s address, the number of bytes to send or receive, and the endpoint’s status. One of the BDT’s status bits determines the BDT’s ownership. When the CPU owns the BDT, firmware can write to the registers to prepare to send data or to retrieve received data. When the USB module owns the BDT, the endpoint can send or receive data on the bus. To send a data packet from an In endpoint, firmware stores the bytes’ starting address to send and the number of bytes and sets a register bit to transfer ownership of the BDT to the USB module. The USB module sends the data in response to a received In token packet on the endpoint and returns BDT ownership to the CPU so firmware can set up the endpoint to send another packet. To receive a packet on an Out endpoint, firmware stores the buffer’s starting address for received bytes and the maximum number of bytes to receive and transfers ownership of the BDT to the USB module. When data arrives, the USB module returns BDT ownership to the CPU so firmware can retrieve the data and transfer ownership of the BDT back to the USB module to enable the receipt of another packet. Other USB controllers have different architectures and different ways of managing USB communications. Consult your controller chip’s datasheet and programming guide for details. Example code from the chip vendor or other sources can be helpful. A USB 2.0 transaction consists of a token packet and, as needed, a data packet and a handshake packet. The token packet identifies the packet’s type (e.g., In or Out), the destination device and endpoint, and the data packet direction. The data packet, when present, contains data sent by the host or device. The handshake packet, when present, indicates the transaction’s success or failure. The data and handshake packets must transmit quickly after the previous packet, with only a brief inter-packet delay and bus turnaround time, if needed. Thus, device hardware typically manages the receiving and sending of packets within a transaction. For example, if an endpoint’s buffer has room to accept a data packet, the endpoint stores the received data and returns ACK in the handshake packet. Device firmware can then retrieve the data from the buffer. If the buffer is full because firmware didn’t retrieve previously received data, the endpoint returns NAK, requiring the host to try again. In a similar way, an In endpoint will NAK transactions until firmware has loaded the endpoint’s buffer with data to send. Fine tuning the firmware to quickly write and retrieve data can improve data throughput by reducing or eliminating NAKs. Some device controllers support ping-pong buffers that enable an endpoint to store multiple packets, alternating between the buffers, as needed. In all but isochronous transfers, a data-toggle value in the data packet’s packet identification (PID) field guards against missed or duplicate data packets. If you’re debugging a device where data is transmitting on the bus and the receiver is returning ACK but ignoring or discarding the data, chances are good that the device isn’t sending or expecting the correct data-toggle value. Some device controllers handle the data toggles completely in hardware, while others require some firmware control. Each endpoint maintains its own data toggle. The values are DATA0 (0011B) and DATA1 (1011B). Upon detecting an incoming data packet, the receiver compares its data toggle’s state with the received data toggle. If the values match, the receiver toggles its value and returns ACK, causing the sender to toggle its value for the next transaction. If the receiver returns NAK or no response, the sender doesn’t toggle its bit and tries again with the same data and data toggle. If a receiver returns ACK, but for some reason the sender doesn’t see the ACK, the sender thinks the receiver didn’t receive the data and tries again using the same data and data toggle. In this case, the repeated data receiver ignores the data, doesn’t toggle the data toggle, and returns ACK, resynchronizing the data toggles. If the sender mistakenly sends two packets in a row with the same data-toggle value, upon receiving the second packet, the receiver ignores the data, doesn’t toggle its value, and returns ACK. All USB devices must support control transfers and may support other transfer types. Control transfers provide a structure for sending requests but have no guaranteed delivery time. Interrupt transfers have a guaranteed maximum latency (i.e., delay) between transactions, but the host permits less bandwidth for interrupt transfers compared to other transfer types. Bulk transfers are the fastest on an otherwise idle bus, but they have no guaranteed delivery time, and thus can be slow on a busy bus. Isochronous transfers have guaranteed delivery time but no built-in error correction. A transfer’s amount of data depends in part on the higher-level protocol that determines the data packets’ contents. For example, a keyboard sends keystroke data in an interrupt transfer that consists of one transaction with 8 data bytes. To send a large file to a drive, the host typically uses one or more large transfers consisting of multiple transactions. For a high-speed drive, each transaction, except possibly the last one, has 512 data bytes, which is the maximum-allowed packet size for high-speed bulk endpoints. What determines a transfer’s end varies with the USB class or vendor protocol. In many cases, a transfer ends with a short packet, which is a packet that contains less than the packet’s maximum-allowed data bytes. If the transfer has an even multiple of the packet’s maximum-allowed bytes, the sender may indicate the end of the transfer with a zero-length packet (ZLP), which is a data packet with a PID and error-checking bits but no data. For example, USB virtual serial-port devices in the USB communications device class use short packets to indicate the transfer’s end. If a device has sent data that is an exact multiple of the endpoint’s maximum packet size and the host sends another In token packet, the endpoint should return a ZLP to indicate the data’s end. Upon device attachment, in a process called enumeration, the host learns about the device by requesting a series of data structures called descriptors. The host uses the descriptors’ information to assign a driver to the device. If enumeration doesn’t complete, the device doesn’t have an assigned driver, and it can’t perform its function with the host. When Windows fails to find an appropriate driver, the setupapi.dev.log file in Windowsinf (for Windows 7) can offer clues about what went wrong. A protocol analyzer shows if the device returned all requested descriptors and reveals mistakes in the descriptors. During device development, you may need to change the descriptors (e.g., add, remove, or edit an endpoint descriptor). Windows has the bad habit of remembering a device’s previous descriptors on the assumption that a device will never change its descriptors. To force Windows to use new descriptors, uninstall then physically remove and reattach the device from Windows Device Manager. Another option is to change the device descriptor’s product ID to make the device appear as a different device. Unlike the other transfer types, control transfers have multiple stages: setup, (optional) data, and status. Devices must accept all error-free data packets that follow a Setup token packet and return ACK. If the device is in the middle of another control transfer and the host sends a new Setup packet, the device must abandon the first transfer and begin the new one. The data packet in the Setup stage contains important information firmware should completely decode (see Table 2). The wLength field specifies how many bytes the host wants to receive. A device shouldn’t assume how much data the host wants but should check wLength and send no more than the requested number of bytes. Each Setup packet also has a bmRequestType field. This field specifies the data transfer direction (if any), whether the recipient is the device or an interface or endpoint, and whether the request is a standard USB request, a USB class request, or a vendor-defined request. Firmware should completely decode this field to correctly identify received requests. A composite device has multiple interfaces that function independently. For example, a printer might have a printer interface, a mass-storage interface for storing files, and a vendor-specific interface to support vendor-defined capabilities. For requests targeted to an interface, the wIndex field typically specifies which interface applies to the request. For interrupt endpoints, the endpoint descriptor contains a bInterval value that specifies the endpoint’s maximum latency. This value is the longest delay a host should use between transaction attempts. A host can use the bInterval delay time or a shorter period. For example, if a full-speed In endpoint has a bInterval value of 10, the host can poll the endpoint every 1 to 10 ms. Host controllers typically use predictable values, but a design shouldn’t rely on transactions occurring more frequently than the bInterval value. Also, the host controller reserves bandwidth for interrupt endpoints, but the host can’t send data until a class or vendor driver provides something to send. When an application requests data to be sent or received, the transfer’s first transaction may be delayed due to passing the request to the driver and scheduling the transfer. Once the host controller has scheduled the transfer, any additional transaction attempts within the transfer should occur on time, as defined by the endpoint’s maximum latency. For this reason, sending a large data block in a single transfer with multiple transactions can be more efficient than using multiple transfers with a portion of the data in each transfer. Most devices’ functions fit a defined USB class (e.g., mass storage, printer, audio, etc.). The USB-IF’s class specifications define protocols for devices in the classes. For example, devices in the HID class must send and receive all data in data structures called reports. The supported report’s length and the meaning of its data (e.g., keypresses, mouse movements, etc.) are defined in a class-specific report descriptor. If your HID-class device is sending data but the host application isn’t seeing the data, verify the number of bytes the device is sending matches the number of bytes in a defined report. The device should prepend a report-ID byte to the data only if the HID supports report IDs other than the zero default value. In many devices, class specifications define class-specific requests or other requirements. For example, a mass storage device that uses the bulk-only protocol must provide a unique serial number in a string descriptor. Carefully read and heed any class specifications that apply to your device! Many devices also support industry protocols to perform higher-level functions. Printers typically support one or more printer-control languages (e.g., PCL and Postscript). Mass-storage devices support SCSI commands to transfer data blocks and a file system (e.g., FAT32) to define a directory structure. The higher-level industry protocols don’t depend on a particular hardware interface, so there is little about debugging them that is USB-specific. But, because these protocols can be complicated, example code for your device can be helpful. In the end, much about debugging USB firmware is like debugging any hardware or software. A good understanding of how the communications should work provides a head start on writing good firmware and finding the source of any problems that may appear. Jan Axelson is the author of USB Embedded Hosts, USB Complete, and Serial Port Complete. Jan’s PORTS web forum is available at www.lvr.com. Jan Axelson’s Lakeview Research, “USB Development Tools: Protocol analyzers,” www.lvr.com/development_tools.htm#analyzers. This article appears in Circuit Cellar 268 (November 2012).